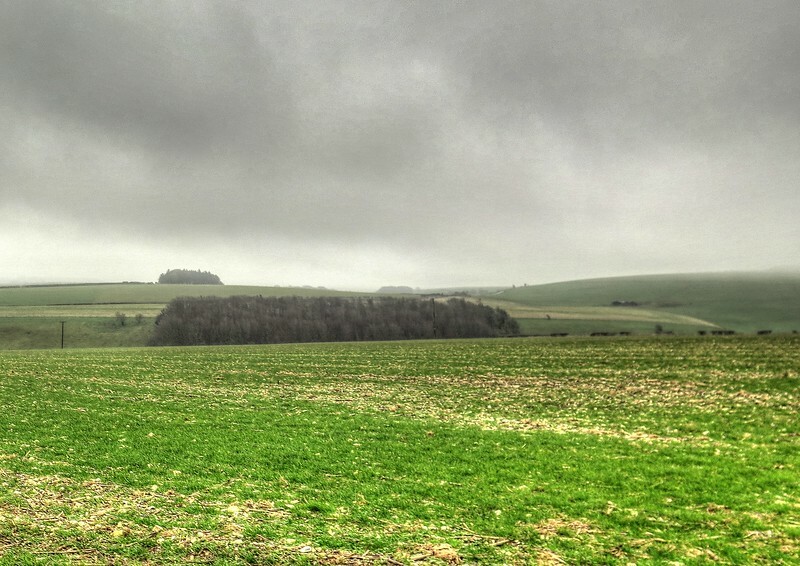 These are a few pictures of a pleasant 5.92 mile walk from The Brewers Arms, Martinstown near Dorchester on 1 January 2015. 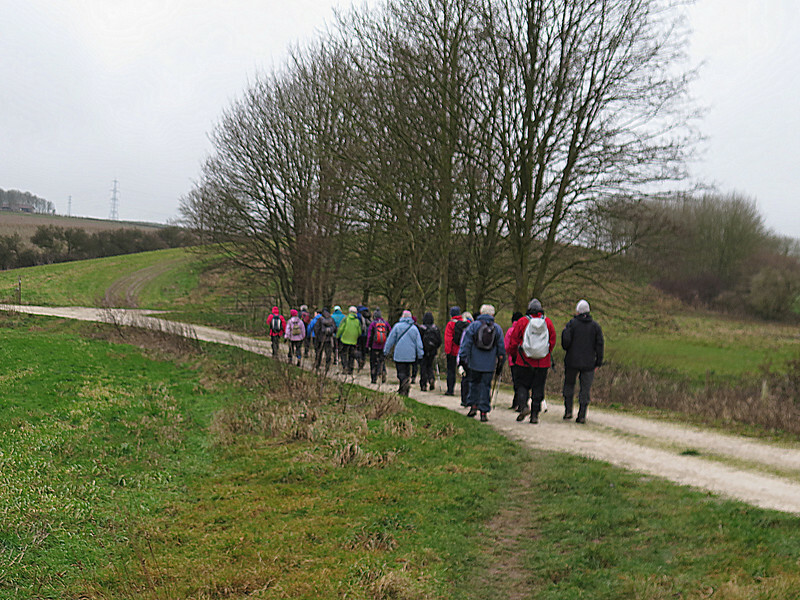 The weather was damp but with little actual rain in fairly mild conditions. Unfortunately the camera was accidentally set to 'macro' for a large part of the walk so sadly some of the pictures are not of the quality I would normally expect (it was New Year's Day!). 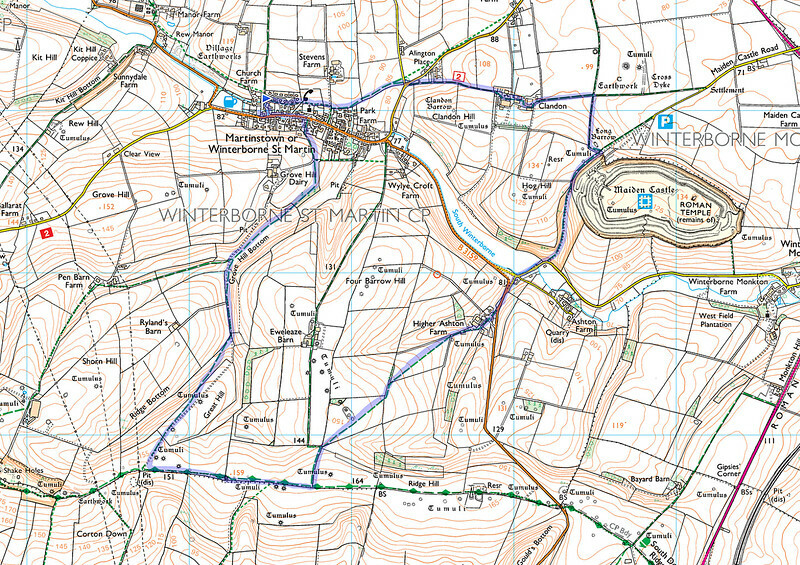 The route followed as recorded on my phone. We went anticlockwise. 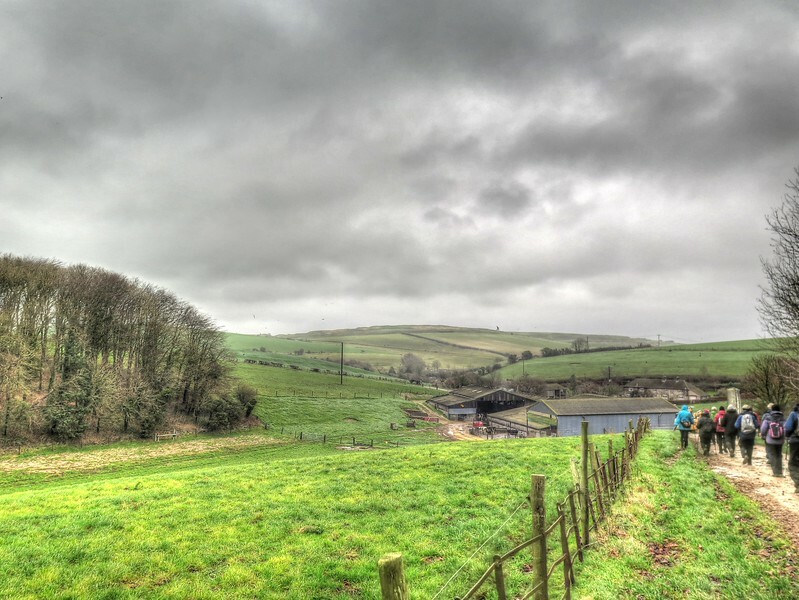 A rather blurred shot of the ensemble walking down Grove Hill Bottom. Our drinks stop and sheets of drizzle blown in the wind sweep across the fields. 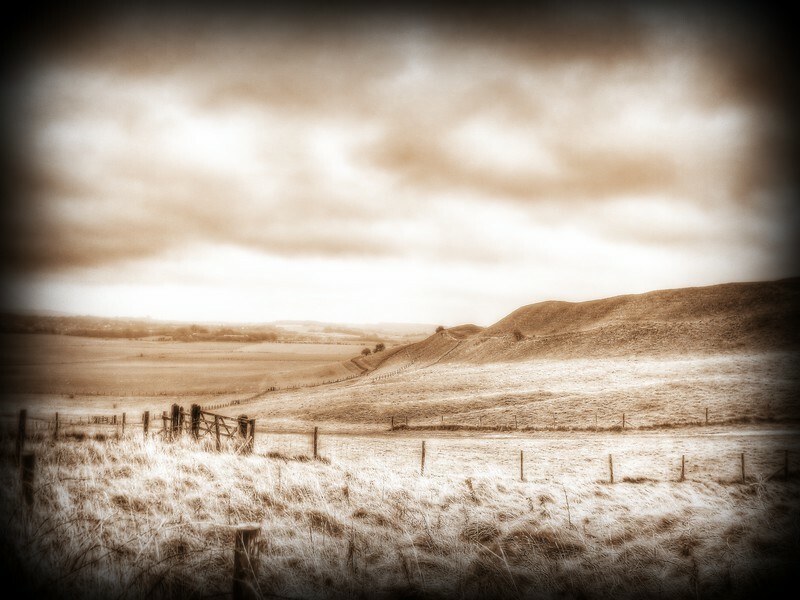 The walk down to Higher Ashton Farm and the iron age hill fort of Maiden Castle is on the horizon. 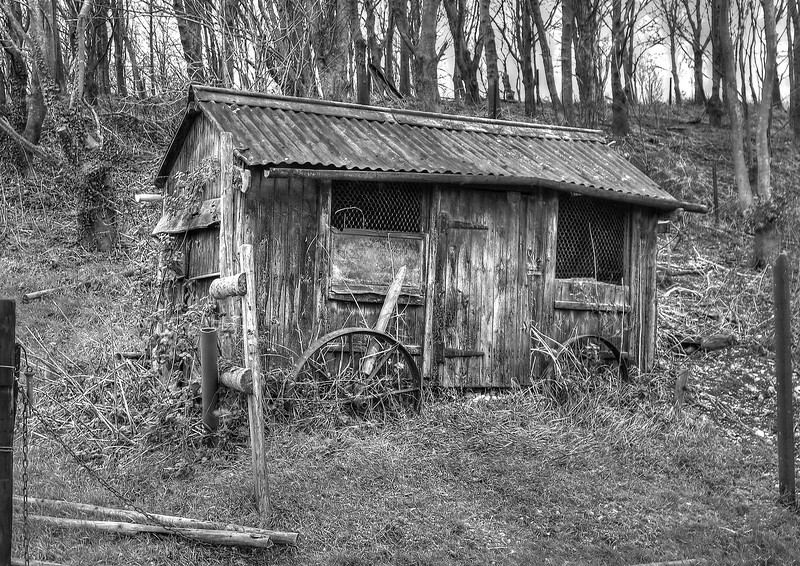 An old chicken house at the roadside. 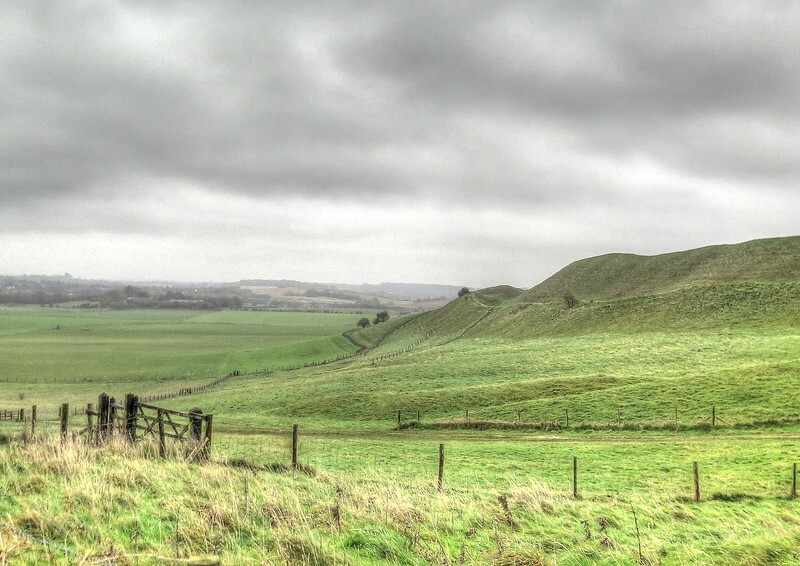 The Ironage hill fort of Maiden Castle, site of a savage battle between the Roman Second Legion Augusta under Vespasian and the Durotriges local tribes during the 'pacification' of this region by the Roman invaders. An old photo taken just before the battle.